RHYS MATHEWSON caused a sensation with a stunning 6-5 comeback win over James Wade at the Ladbrokes Sydney Darts Masters at The Star on Thursday, as reigning champion Phil Taylor denied new sensation Corey Cadby a fairytale debut. Melbourne-based Mathewson, 28, had never previously competed on TV before qualifying for the PDC World Series of Darts event, and looked set to lose out when world number six Wade took a 5-2 lead in their first-to-six contest. 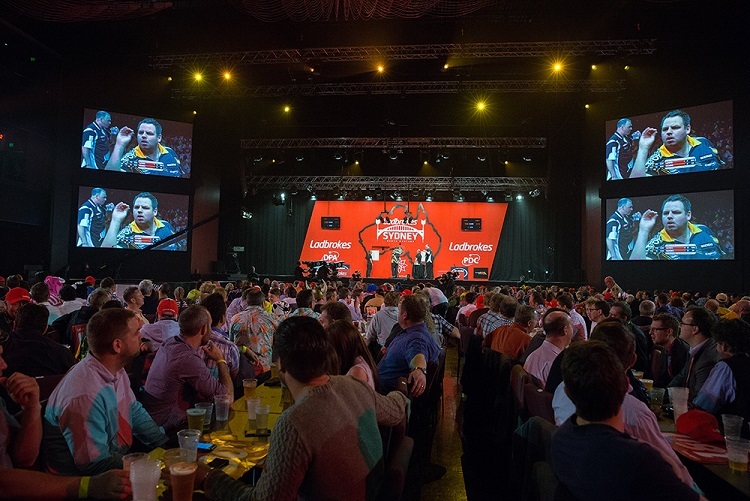 However, Mathewson capitalised on the left-hander's missed match darts as he won the next three legs to level and force a decider, before hitting his fifth 180 of the game and double top to complete a sensational win. "It's unbelievable," said Mathewson, who now moves into Saturday's quarter-finals at The Star. "I felt comfortable up there and I wasn't nervous, but usually when you miss your doubles against James you don't get another chance. I thought I was in trouble at 5-2, but fortunately he gave me a chance and I took it. It's amazing for me." 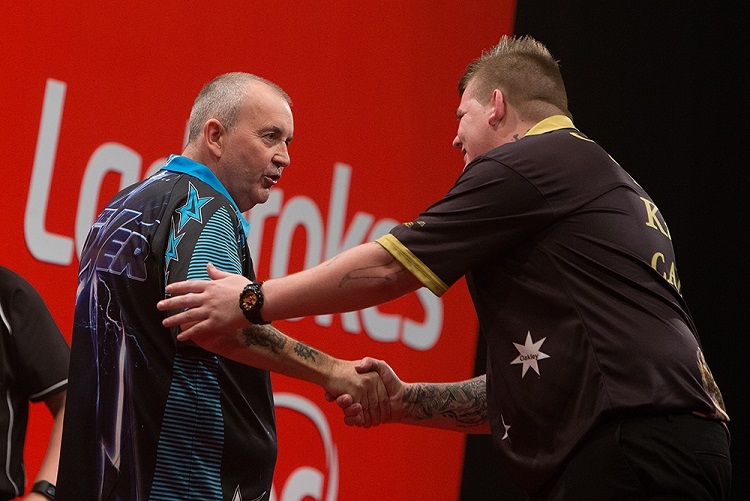 New Australian star Cadby, the 21-year-old who has won seven tournaments on the DPA's domestic Australian Grand Prix circuit this year, was aiming to match Mathewson's achievement when he took on three-time Sydney Darts Masters champion Phil Taylor. 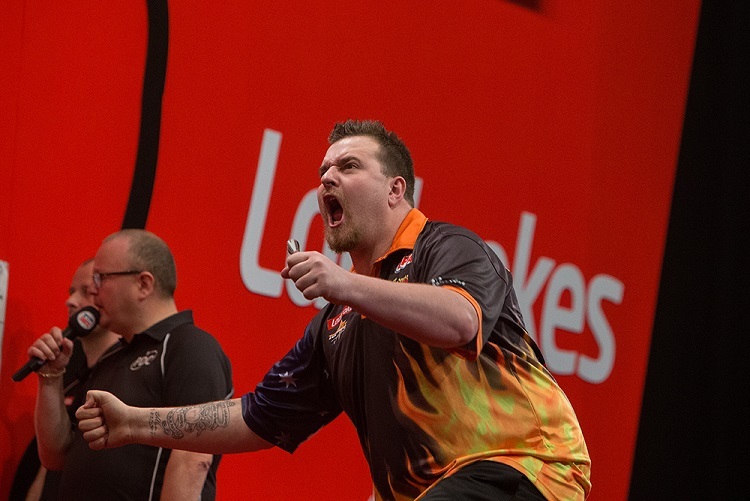 Taylor, who turned 56 last Saturday, took the game's opening two legs without reply to take an early lead, and held that cushion throughout as Cadby paid for missing his chance to level in leg six. Taylor now meets World Champion Gary Anderson, who overcame Perth-based David Platt 6-3, while Mathewson will take on Peter Wright in the quarter-finals after the world number five saw off Simon Whitlock 6-2, taking command by winning the opening five legs without reply. The first round's outstanding performance came from world number one Michael van Gerwen, who averaged 107.89 as he swept past New Zealand's Cody Harris with a 6-2 win. Van Gerwen landed three 180s in the opening two legs in an explosive start before the Kiwi ace pulled back to 3-2, but there would be no stopping the Dutchman as he powered through to a meeting with Australian ace Kyle Anderson. Anderson brought a delighted home crowd to its feet at The Star with a brilliant display to see off Raymond van Barneveld 6-1 as history repeated itself following the 28-year-old's win over the Dutchman in Sydney two years ago. Van Barneveld had started brightly by opening the game with a 180 as he claimed the first leg, but Anderson claimed the next six without reply as he averaged almost 100 in a clinical performance. Adrian Lewis saw off New Zealand number two Rob Szabo 6-3 as he moved through to a quarter-final against Dave Chisnall, who came from a leg down to claim six in a row as he breezed past Australian youngster Harley Kemp.